CPAP therapy helps patients get enough air pressure into their lungs. However, for an efficient therapy the patient needs to choose the best CPAP machine, and a perfectly fitting CPAP mask. With the help of flexible tubing, the CPAP machine is connected with the mask that is worn by the patient. There is a huge variety of CPAP masks available, and patients need to ensure that the mask is a perfect fit. When the mask is too large, mask leaks might appear and then CPAP therapy is not efficient. If the mask is too tight, the patient feels uncomfortable and the mask can even cut into the skin and cause irritations. 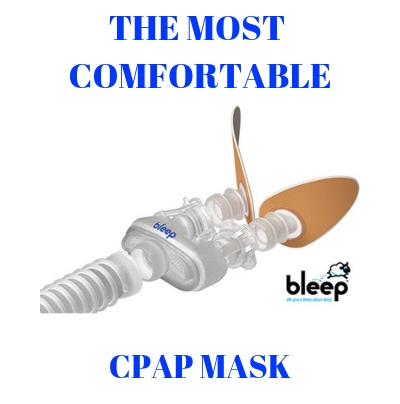 The physician is the one who will recommend the best style and model of CPAP mask, considering the facial structure of the patient and his current health needs. Some patients have latex allergy, and in their case a Latex free mask is the best option. Other patients have extremely sensitive skin, so a CPAP mask with a gel cushion will provide them with maximum comfort during therapy. Patients who struggle with certain allergies can ease their health problem if they will use a HEPA filter air purifier in their home, and flush their nose regularly with saline solution. Using the CPAP mask will become more comfortable this way. Alternatively, during allergy seasons physicians advise patients to use a Full Face CPAP mask for added comfort. After the allergy season is over, patients can revert back to using their favorite style CPAP mask. Ensure to purchase a CPAP mask with replaceablecushions. This way, the cushions can be easily detached from the frame and proper sanitation and cleanliness of the mask is easily maintained.